It is a busy day/night in the Boston/Cambridge area…the Red Sox are playing at Fenway in a surprisingly tough battle for first against the Tampa Bay (Devil) Rays…the historic NBA finals rivalry of the Boston Celtics versus the LA Lakers is rekindled at the Garden…Harry Potter’s visionary JK Rowling is giving the commencement speech at Harvard…but me, I’ll be rockin’ and mellowin’ to the sounds of the T-Bone Burnett-backed Robert Plant/Alison Krauss show at the Harborlights..er..Bank-whatever Pavilion. I always find it interesting when seemingly disparate things converge unexpectedly. I’ve been reading Are We Rome which is a somewhat snarky non-fiction book about the many comparisons that can be made between the Roman Empire (and its ultimate “fall”) and the current American “Empire”. One of the similarities the author draws is between the Romans “outsourcing” of their armies to the barbarian hordes and the privatization of the American armed forces to Blackwater and the like. It appears we have been on track to replicate the ways of the Roman Empire for longer than I thought. I’ve been meaning to post about this before but just haven’t got around to it. My older brother Bob has a new book out and it is very cool. His previous entry into literature was as an editor of a book that compiled a number of different folk-tales around the theme of "the grateful dead", not the band but the folklore theme. 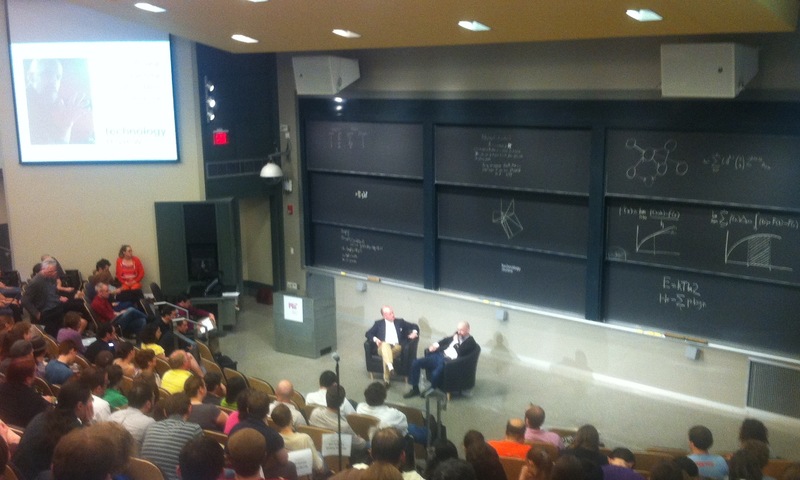 While that was very cool, his new book is even cooler…and is actually in his professional field. 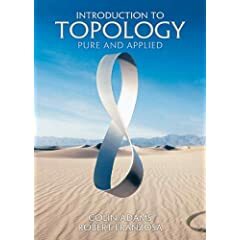 Introduction to Topology: Pure and Applied covers the field of topology with a slant towards applications in the real world. If you know anything about topology then you know it can stray pretty far from the real world! I am actually credited in the book as I provided some information on applications in circuit design and printed circuit board layout. I’m pretty proud of him and his book especially knowing the many, many hours he put into it. If you are looking to get a good introduction to topology, this is a great book for you…I’m not biased at all. 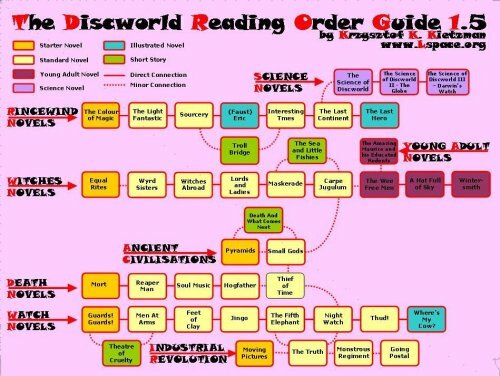 I’ve been slowly plowing my way through the Discworld novels by Terry Pratchett. They are hilarious. It is very hard to read any other fantasy novels after reading these books. He does such a great job of sending up every possible aspect of the fantasy form. boing-boing recently linked to the reading order guide at l-space which has been instrumental to my understanding how these books fit together. My preference is still to read them in the overall published order so I present to you my own edited version of the guide that has been merged with the data from the published order. enjoy.. 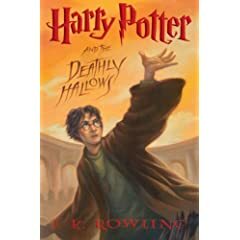 I read Harry Potter and the Deathly Hallows this past weekend. I picked up two copies at 12:01 on Saturday morning so that both Billy and I could read them without biothering each other for the book. Frankly I thought he was going to take it with him to camp in Rhode Island this week …I was surprised when he finished the book Sunday morning! This left me having to finish it during the car ride after dropping him off at camp that afternoon. I had an irrational fear of having my ten years, that included many fun cycles of anticpation and reading, ruined by some nitwit who thought it might be fun to spoil the ending with some details leaked on the internet. I actually avoided most of the websites I normally go to as soon as I read that the photographed images of the book were leaked. Well thankfully I avoided the spoilers and I agree completely with Aaron (also not spoiling, thank you) that J.K. Rowling did a very fine job with this book. She will not go down in history as a literary master, but she sure has mastered the art of creating a fun and, in the true sense of the word, "wonderful" universe, to be enjoyed by all ages, for many years to come. We’ll be donating that second copy to the local library so more people can enjoy this story. …and many thanks to my sister Marie and her family for getting me hooked on Harry way back at the beginning! I finished reading A Thousand Splendid Suns today. This is the latest novel from Khaled Hosseini, the author of the phenomenally successful novel The Kite Runner. His follow up was not as clever of a story as his first book but is a great depiction of what it must have been like to be a woman growing up in Kabul in the last quarter of the 20th century. Not a very fun summer read, but a worthy read nonetheless.